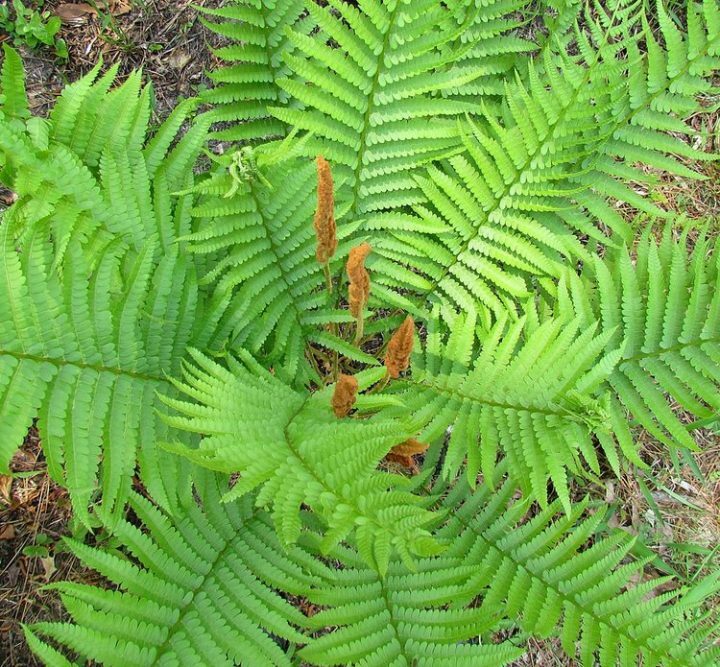 Ferns are older than dinosaurs! Now, some of you might think “that’s cool, but what exactly is a fern?”. We’re sure you’re familiar with the general concept of them (green and leafy, mostly), but the specifics? Not so much, probably. Well, here goes: Ferns are flowerless, seedless plants that duplicate themselves with spores. If you want it a bit more precise, ferns are part of the Pteridophyta plant family, come in somewhere around 20.000 known species globally, and are among the oldest plants on earth. Other than these facts, ferns can be divided into indoor and outdoor plants (though, of course, they can survive and flourish in the other environment respectively, if conditions are right). Which is what we’ll do in our list below. Generally speaking, ferns add a dramatic, and somewhat unique touch to your home or garden with their feathery, lush fronds. And that’s exactly why they are so popular as plants. 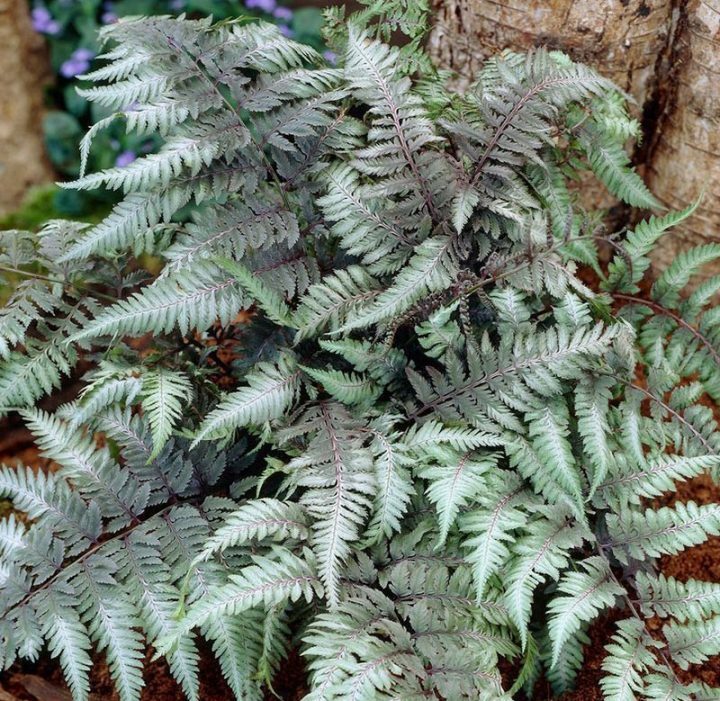 And in terms of care, they are the perfect choice for even the most novice gardener or plant-owner: outdoor ferns like partially shaded areas, indoor ferns love bright places but not direct sunlight. Other than that, ferns are easy to care for, and are particularly resilient against diseases and insect infestation. Easy, right? Now you’ll only need to pick your favourite ferns and you’re good to launch your gardening career! Originating in Canada and the US, this fern is the tallest and most majestic of all outdoor ferns. The fern derives its name from the ostrich tail-like fronds, that are adorned with strong leaves that can grow up to 20 inches. Ostrich ferns like moist soil and shade. In terms of care, water them on ground level and avoid the leaves. 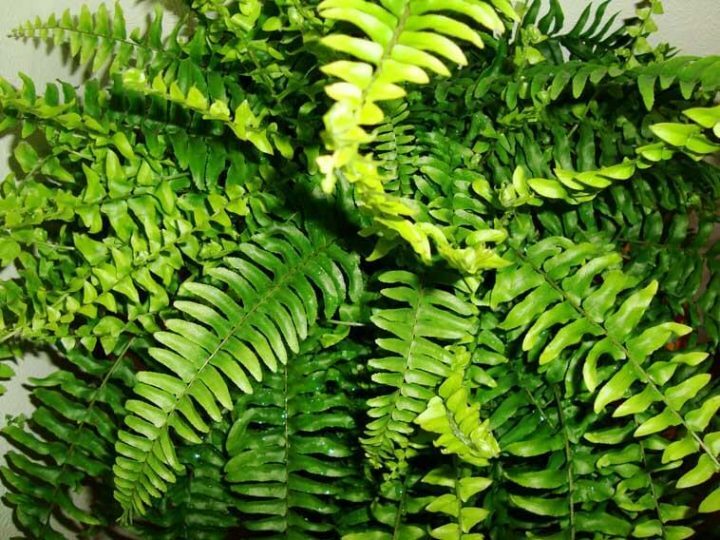 Should your fern grow too big for your taste, simply water less frequently. 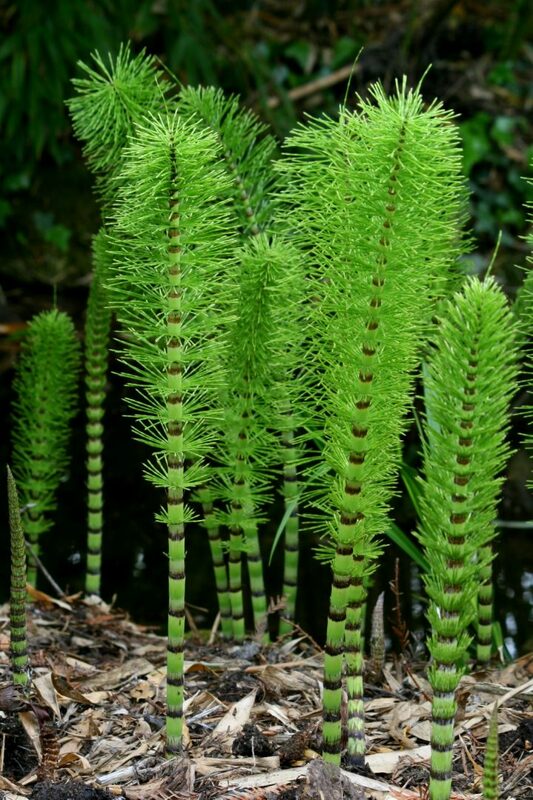 The Horsetail fern is part of the Equisetum family of which it is the last surviving member. 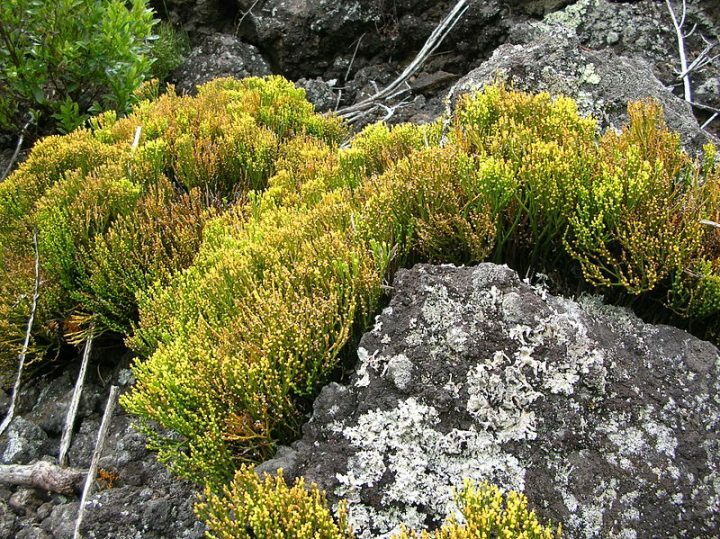 Despite its name, this plant can be poisonous for horses when consumed in larger quantities. This fern is a real stunner. It is unique with its purple, silver and green fronds colour that can grow up to 18 inches. 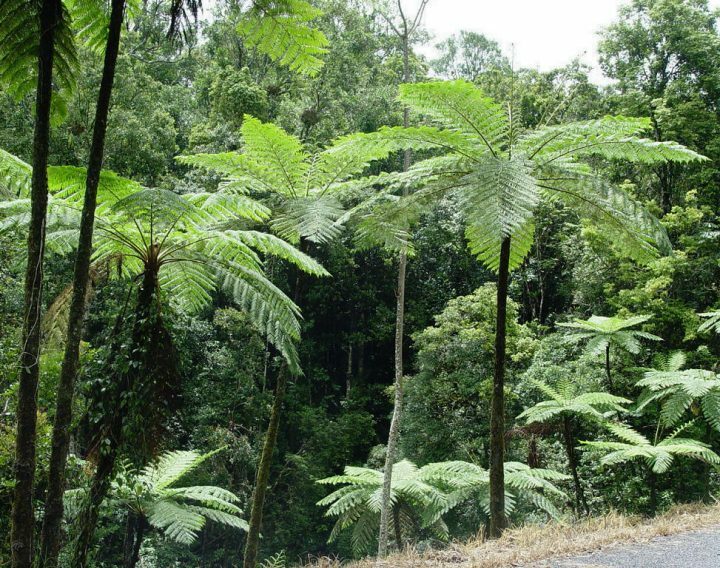 Just as the name suggests, the Australian tree fern looks just like a tree. Even in size. 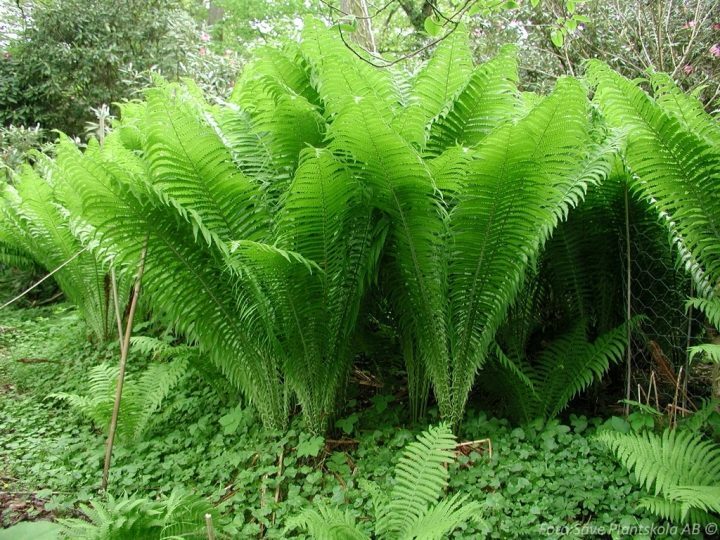 This fern grows up to 30 feet tall, and boasts six-inch circumference stems and eight-foot fronds. And as the name implies, this plant is at home in Australia (and New Zealand), where it grows all over the native rain forests. Thus the fern grows best in climates with heavy precipitation and warm temperatures. 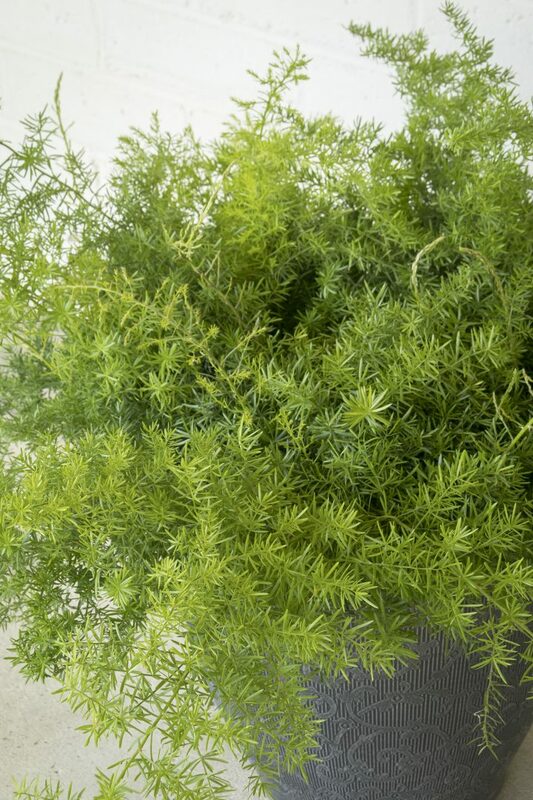 Despite its yummy name, the Asparagus fern is not actually related to the asparagus you know from your dinner table. This fern thrives in bright spaces, and if you don’t keep an eye on it, this fern can easily overtake your whole garden. Frequent grooming, therefore, is a must. Typically you will have seen this fern accompanying popular flowers like orchids. 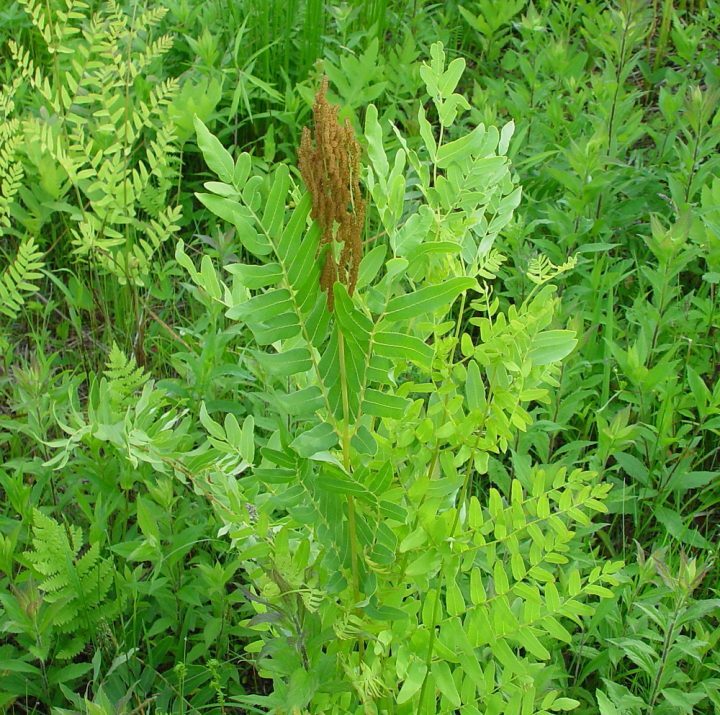 They grow particularly well together, not at least because the Royal fern’s fronds grow in flower-like spreads that can reach a breath of 12 to 16 inches. This type of ferns is the perfect choice if you’re mainly looking for a plant that beautifully sets off your other flowers, shrubs, and trees. 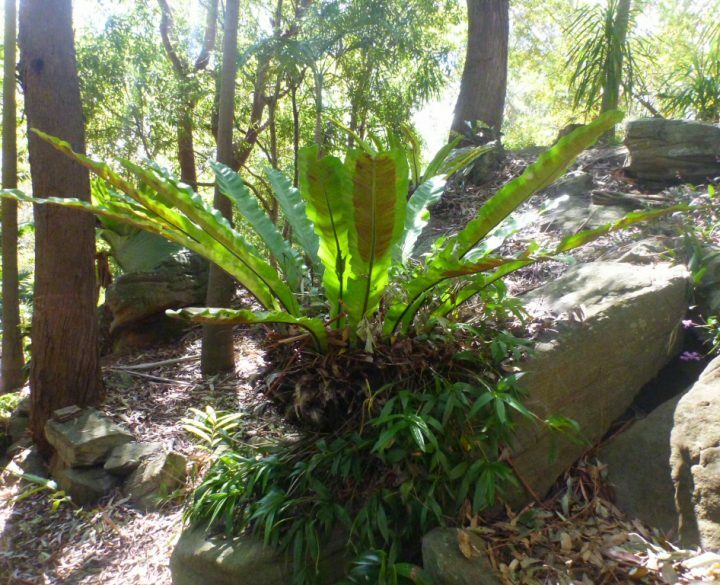 Birds Nest ferns grow very compact and are rather easy to please. They grow just as well on tress (that’s most likely where the name derives from) or rocks as they do on soil, and they mainly require a shady space to flourish. Native to (western) North America, this fern is named after its subterranean stems which taste similar to liquorice. Said stems are used as snacks, natural remedies for colds and sore throats, or in teas. The Licorice fern itself can grow on rocks or tree-stems, and prefer mild temperatures. Yet another fern with a decidedly yummy name. This time, however, the name doesn’t come from the taste of some part of the plant, but from the distinctive cinnamon-coloured fronds that sit inbetween fresh green leaves. In terms of care, the Cinnamon fern is incredibly uncomplicated. The most important requirement is a rather moist environment. Other than that, it is quite happy with the occasional trim and dose of fertiliser. The Eagle fern, also known as (Eastern) Bracken fern, is easily recognised by its triangular stems. This fern prefers subtropical or temperate regions, but is particularly apt at adapting to new surroundings, which is why it has become an invasive plant species in various parts around the world. A popular garden plant in Japan, this fern is most commonly found in tropical Asia, Africa, the Americas, Oceania, and Spain. The Whisk fern has very unique, thin stems that resemble chicken’s feet, or egg whisks. As its places of origin suggest, it prefers warm, moist climates and loves to be. planted between rocks. 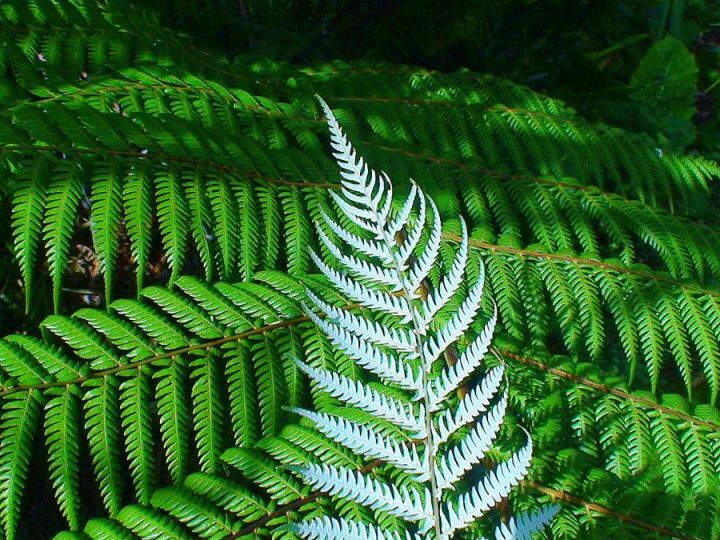 The Silver fern is native to New Zealand and widely known as the beautiful county’s symbol. Its name derives from the subtle silver shading on the underside of the leaves. The Silver fern grows in subcanopy forests and love wet hummus as long as they are young, but can tolerate drier (not dry!) conditions once they have grown in well. This incredibly popular fern is the most popular of the houseplant varieties, but can also be found in the outdoors in may regions. The Boston fern loves frequent, but light misting, daytime temperatures of between 60 and 80°F/16 and 26°C and will grow to truly astonishing size (up to 3 feet/90cm in height and 6ft/180cm in width) if cared for correctly. 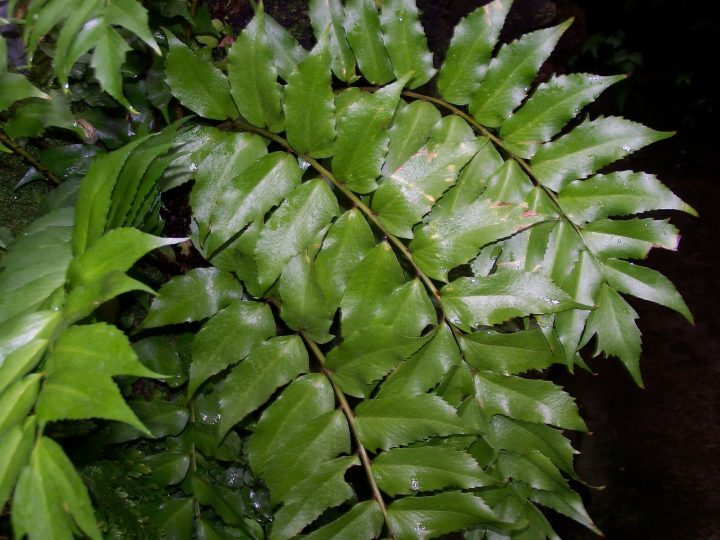 In terms of visuals, this fern has dark green leaves that are evenly spread on the fronds. 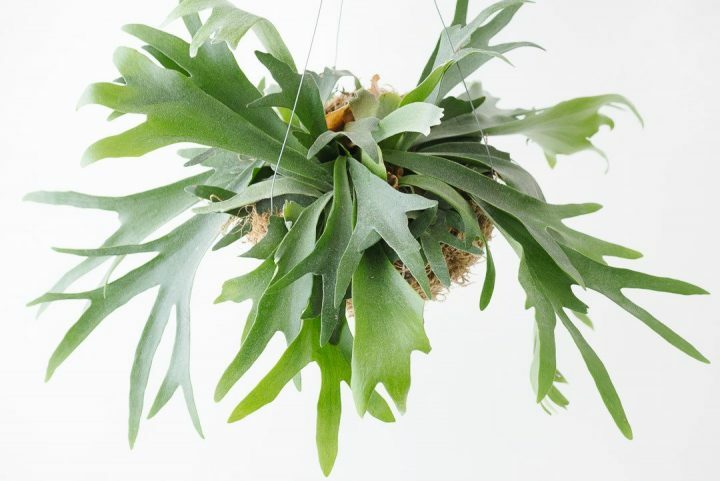 The Staghorn fern, unsurprisingly, derives its name from the antler-like fronds. Paying tribute to this unique look, many people opt to mount their Staghorn ferns on the wall the same way you’d see mounted antlers in a hunting cabin. This fern loves coarse, hummus-rich soil with good drainage. Once you take a look at this fern’s leaves it becomes very clear where the name comes from. The three to four dark green leaves strongly resemble those commonly found on holly bushes. Maidenhair ferns are probably the most delicate of all (indoor) ferns. The thin black stems and small, dainty leaves give this fern a very unique look that makes caring for it very much worthwhile. As you might have guessed by now, growing the Maidenhair does not comes without a challenge. The fern loves high humidity, but absolutely can’t stand its leaves being misted. Nor does it like being in direct sunlight. 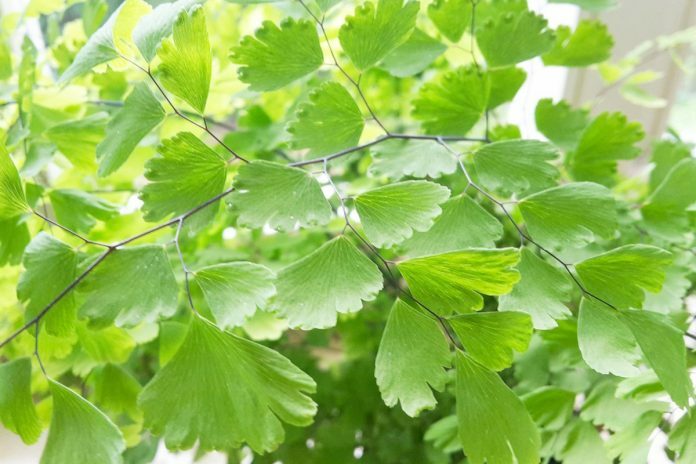 Due to these requirements, the Maidenhair fern grows best in the corners of bathrooms, where the heat and moist air allow it to flourish and prosper beautifully. This fern, in all honesty, is just an honourable mention, since it is not a indoor plant per se. The Java fern is incredibly popular among aquarium owners, since it can easily be cultivated both half- and fully submerged. 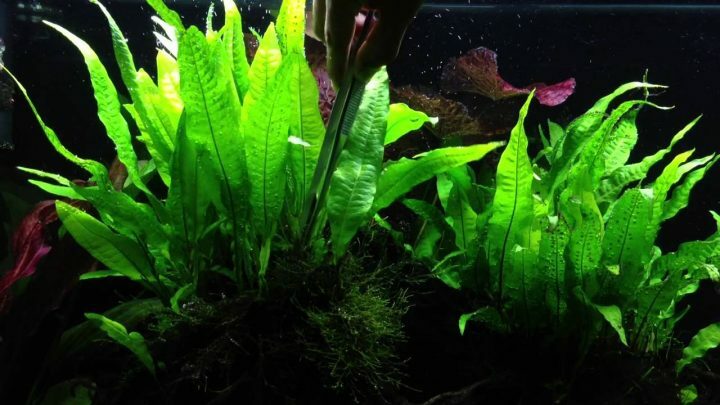 The different leaf shapes (“trident”, “lance”, or “needle” among others) varies from sub-family to sub-family, but all types of Java ferns have one thing in common: the plant looks incredibly cool when it’s floating in the tank’s currents.